There are 3 entrances to the Backbone/Encinal trail. 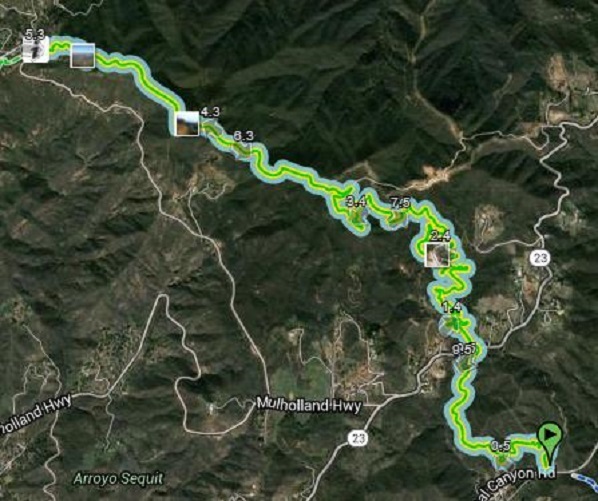 The Map to Site link above has the location of the trail head off Encinal Canyon road. The Backbone/Encinal trail can also be access from two parking areas off Yerba Buena road.